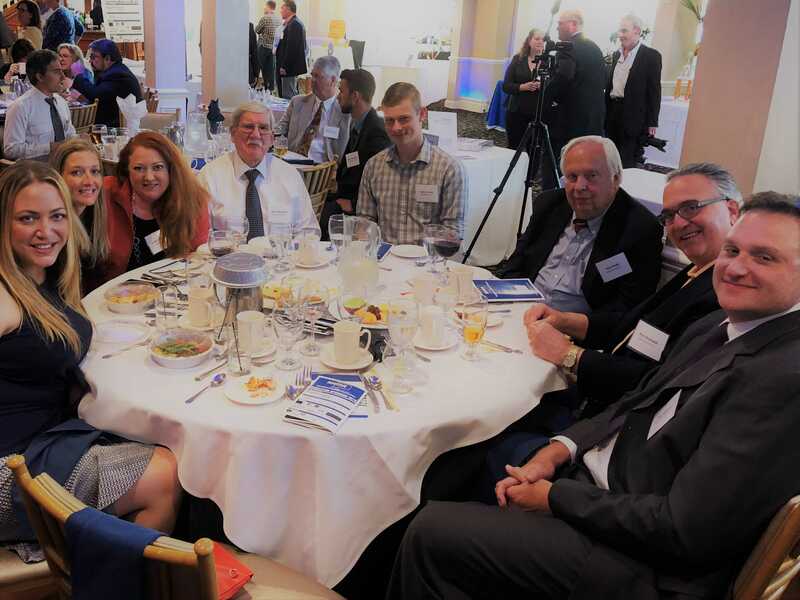 More than 300 people attended the New Haven Manufacturers Association Annual Meeting (NHMA) last Thursday. As is tradition, Bead reserved a table for several employees and board members. The NHMA holds its Annual Meeting near the end of its fiscal year and serves as a means to educate and engage its membership as well as elect new board members and officers. It’s also the only fundraiser held by the organization that supports their workforce development activities, primarily local technical schools. The keynote speaker was Sudhi Bangalore, who is the VP and Head of Industry 4.0 technologies for Stanley Black and Decker. Sudhi’s presentation focused on manufacturing solutions in the areas of automation and digital workflow. Currently, he is working on an app-based Paperless Manufacturing System which would help improve visibility and optimize key processes in the factory. You can read more about the event in the Hartford Business Journal.